Disconnect the brake pipe fittings (1) from the brake hose. Cap the brake pipe fittings to prevent brake fluid loss and contamination. 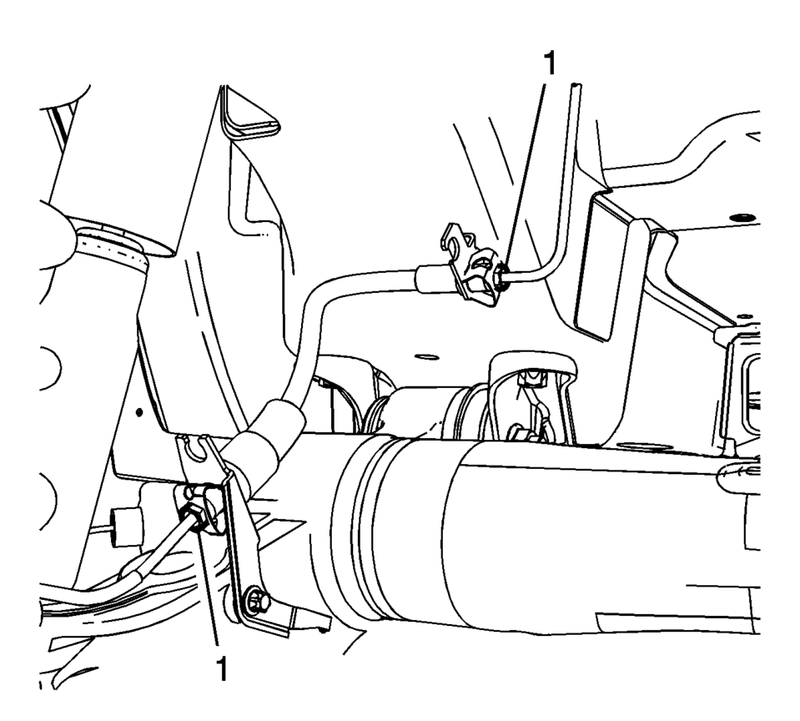 Remove the brake hose locking clips (1). Install the brake hose to the brackets on the rear and axle and floor panel. Install the brake hose locking clips (1). Bleed the hydraulic brake system. 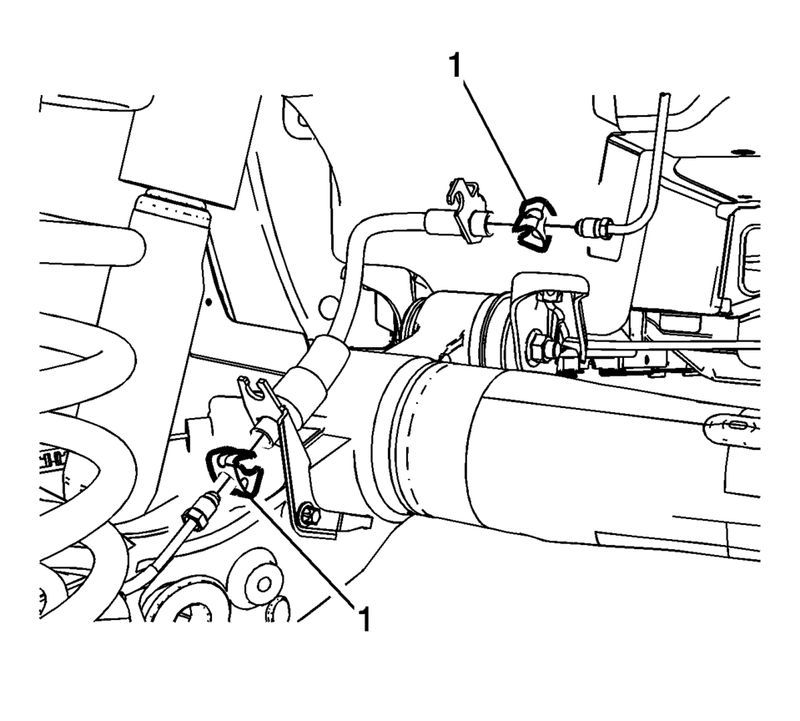 Refer to Hydraulic Brake System Bleeding.